A University of Queensland graduate, Helen has over ten years’ experience as a general practitioner. She continues to attend education workshops and seminars to ensure her patients receive the very best care. A mother of two, Helen is very gentle and will always give her best care and understanding for your children. Graduating from the University of Queensland, Arthur’s main interests include preventative and restorative dentistry. Arthur is committed to providing his patients with the highest standard of comprehensive dental care – and our patients often comment on just how gentle and caring he is. 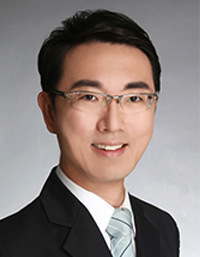 Dr Eric Sham graduated as a dentist from the University of Queensland in 2001. Whilst experienced in all aspects of general and cosmetic dentistry, he has particular interests in dental implants. 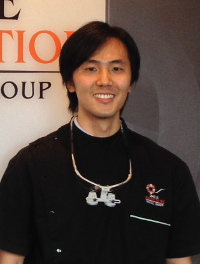 He has completed a number of accreditation programs in implant dentistry and to demonstrate his dedication in the field, he has successfully completed a formal 2-year postgraduate program in Implant Dentistry at the University of Melbourne in 2014. In addition, Dr Sham has also been awarded Fellowship from the Royal Australasian College of Dental Surgeons (FRACDS) and is up to date with contemporary evidence based dentistry. He spends time to ensure that each and every one of his patients is cared for. 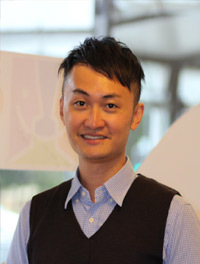 Daxter obtained his dental degree with first class honours and his master’s degree in orthodontics with high distinction from The University of Queensland. Daxter is registered as a specialist orthodontist with the Dental Board of Queensland and he is a certified member of the Australian Orthodontic Board. He is also an Invisalign Accredited Orthodontist. Daxter is a member of the Australian Dental Association, the Australian Society of Orthodontists, the American Society of Orthodontists, the Australasian Society of Lingual Orthodontists and the World Federation of Orthodontists. Please visit www.orthosmile.com.au for more details. All our staff at Smile Perfection Dental Group have years of dental experience. They pride themselves on creating a warm and friendly environment for all of our patients, ensuring that each and every visit is comfortable.